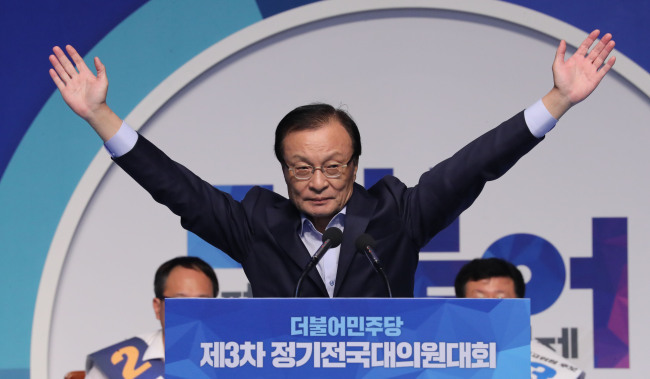 The 66-year-old seven-term lawmaker beat two rivals, Kim Jin-pyo and Song Young-gil, both four-term lawmakers, at the party's national convention. Lee will replace the incumbent chairwoman, Choo Mi-ae, for a two-year term. Lee is one of South Korea's most prominent liberal leaders and is well-versed in both administrative affairs and party politics. He is known for close relations with President Moon Jae-in. He served as prime minister from 2004-2006 under the administration of President Roh Moo-hyun. President Moon was Roh's chief of staff. The sharp-tongued, uncompromising strategist will lead the party at a time when the governing liberals face the biggest challenge to their push to chart a new "income-based growth" path and achieve North Korea's denuclearization and permanent peace on the peninsula. 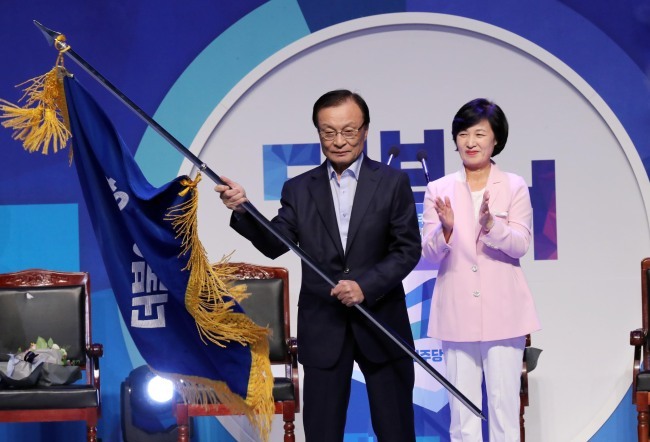 The ruling party won a huge victory in the June local elections and currently holds 129 seats -- the most of any party -- in the 299-member National Assembly. The DP's support rate hit a record high of 57 percent but has been on the slide, to around 40 percent, in recent weeks. Opposition parties have intensified their attacks on the government's income-driven growth policy. They blamed its minimum wage hikes and interventionist policies for sluggish investment and hiring, as seen by recent employment statistics, which showed the country in July logged the worst job growth in more than eight years. The new leader's imminent tasks are likely to be forging cooperation with opposition parties over next year's government budget and crucial bills to ease economic regulations and protect smaller businesses.